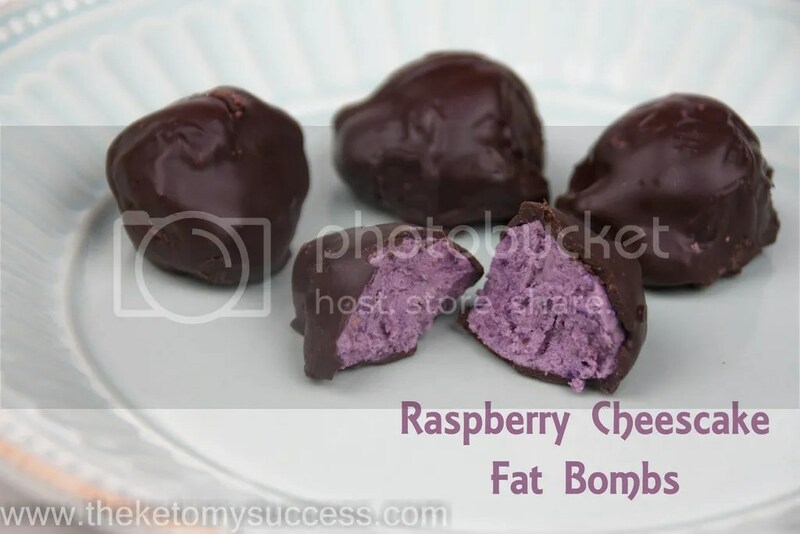 Fat bombs. Do you love them? For me, I’m a bit of a fair weather fan. These Raspberry Cheesecake Fat Bombs are the BOMB! They are reminicent of those Russell Stover’s raspberry nougat chocolates. I loved them! I always looked forward to Valentine’s Day or Easter when mom would put a little sampler box in our baskets. One of the biggest things that has helped me is finding alternatives to my favorite foods or foods that have a memory attached. I find that those are the biggest temptation. While it might not be exactly the same as the carb or sugar packed versions, it meets the need. Scratches the itch, if you will. Fat bombs can be a great tool to help you stay within your macros. Below is a graph showing what generally accepted macros look like in the ketogenic lifestyle. Fat bombs come in all shapes and sizes; both savory and sweet. I tend to lean towards the sweet variety…shocker, I know. Used in moderation, these can really satisfied a need for more fat keeping you satiated longer. Line a cookie sheet with parchment paper. Scoop some of the raspberry mixture onto the parchment using a small cookie scoop. This will make about 32 bombs. Place in the freezer for 45-60 minutes. While the raspberry filling is in the freezer, melt the chocolate and cocoa butter in a double boiler. If you are using 100% unsweetened dark chocolate, you might want to add 2-3 droppers of stevia to slightly sweeten the chocolate. To cover the fat bombs in the chocolate mixture, used two forks. Pick up one fat bomb at a time and hold over the bowl of melted chocolate. Spoon the chocolate over the fat bomb until well-coated. Keep turning until the chocolate is solidified. Place each of the coated fat bombs back onto the cookie sheet with parchment. Place in the fridge for at least 15 minutes before serving.